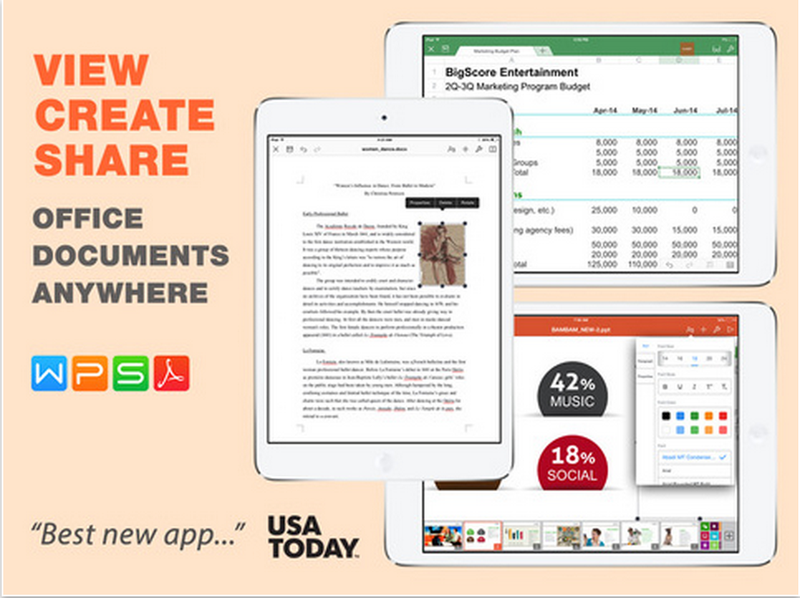 WPS Office Free is one of the best free iPad apps you can use to view, edit and create Word, PowerPoint and Excel documents. 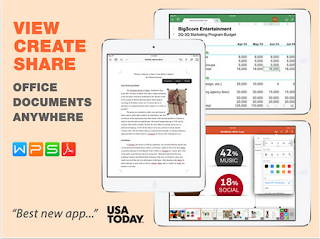 It is fully compatible with Microsoft Office, PDF and several other document formats. WPS Office also supports a number of file formats that include doc, docx, ppt, xls, xlsx, tif, rtf, pdf and zip. Some of the features WPS Office provides for users include: supports wireless printing and Bluetooth keyboards, allows you to share presentations and documents with other devices using AirPlay, AirDrop, DLNA or WIFI, open and edit documents directly from popular cloud services such as Google Drive, Dropbox, Box, OneDrive and WebDAV, export office documents and presentations to a PDF and many more. WPS Office supports 6 languages: English, French, German, Portuguese, Spanish and Japanese. And just recently, WPS Office becomes available for Apple Watch and even supports remote presentation control right from the Apple Watch!